Morocco is the ideal place to practice a wide range of extreme sports. Practicing Extreme Sports in Morocco such as kite surf; wind surf; surf; ski; snowboard; Sahara Desert sand board; ATV motor quads; camel trekking; mountain trekking; and ATB – all terrain bicycle is possible within a couple hundred kilometers range, and mixing a bit of the sea for water sports; a bit of the mountains for winter sports and mountain treks, and also desert activities. Kite surfing is a water sport that while using a surfboard you are towed by a kite and propelled by the wind. Morocco is the perfect coast for wind sports, and cities such as Essaouira and Dakhla further south provide the perfect environment to practice kite surfing in Morocco. Essaouira and Dakhla are often called the Moroccan Wind Cities. 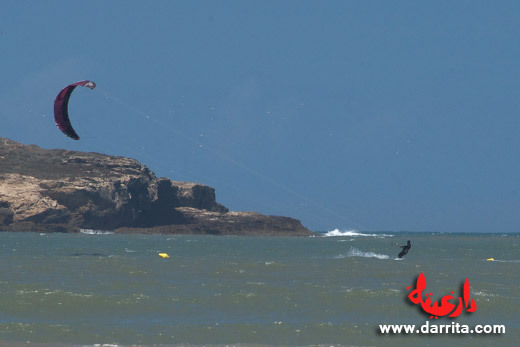 If you want to practice kite surfing in Morocco, try to divide your holidays time between Essaouira and in Dakhla deep south in Morocco close to the Mauritanian border. Riad Villa Garance for great accommodation, great place, more quality, more expensive. This beautiful riad in Essaouira has ten spacious rooms are arranged around the patio to welcome two or four guests in great comfort.They also have windows opening on to a quiet and bright street. 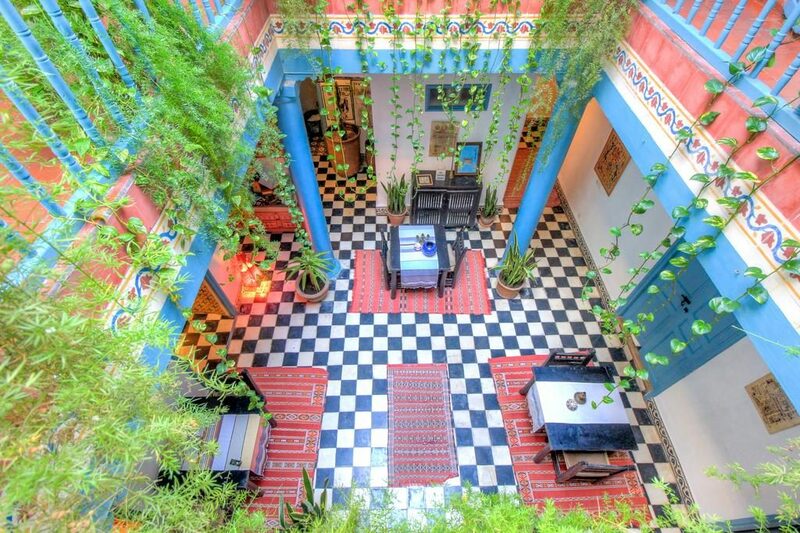 Villa Garance – Essaouira riad is located on No 10, Rue Eddakhil street in the old districts. Prices at this Essaouira guest house range from 60 Euros to 80 Euros including breakfast. 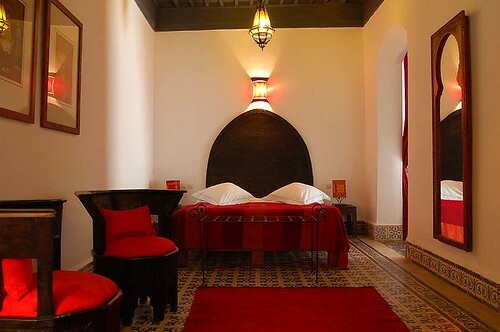 Photo of a room inside Riad Villa Garance in Essaouira. Hotel Les Matins Bleus is a very nice hotel also located inside Essaouira old town. The employees are very friendly and very nice good rices too. A suite + breakfast for four people costs 76 Euros in low season and 84 Euros in high season. A single room + breakfast costs 25 Euros in low season and 27 Euros in high season, and a double room + breakfast costs 38 Euros in low season and 42 Euros in high season. Requires advance booking to secure place, especially in the summertime, so I advise 2 weeks prior for booking deadline. Dakhla has some interesting beach camps where you can rent either a bungalow, set your tent or rent bivouac tents. 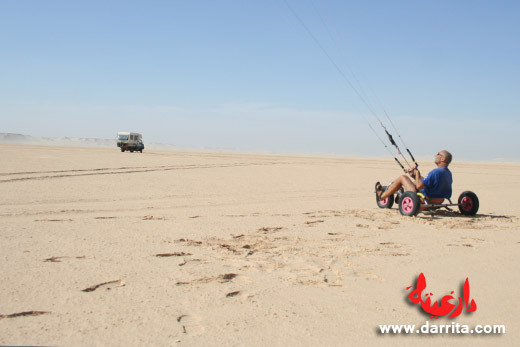 Dakhla offers the perfect setting for learning how to kitesurf and windsurf. 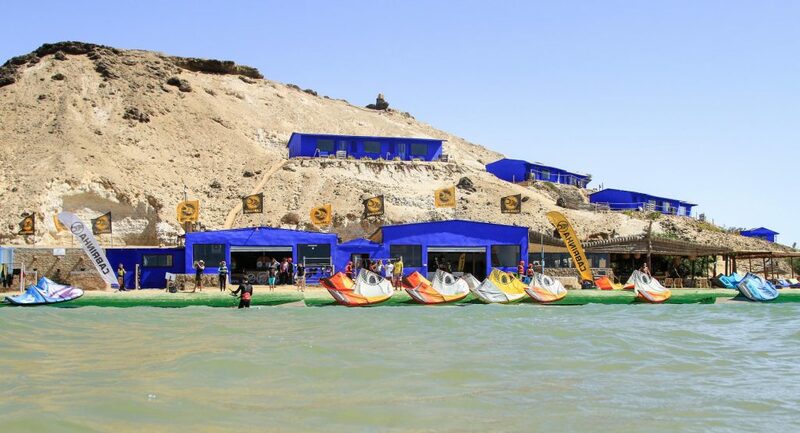 Dakhla Attitude Camp – this camp is located at the “Point du Dragon” and provides different types of accommodation in Dakhla, suitable for all types of budgets. Dakhla Attitude has Bedouin Camps with tents, bungalows, fully equipped lux rooms, beach bar, Wifi and cyber café, Mailing centre, Digital photo centre, Change office, Telephone and fax, Launderette and 24/24 Security. KiteMorocco – Kitesurf school that has some great lessons and accommodation packages on offer, and can put together a personalized package for you. KiteMorocco is dedicated to showing you the best Kitesurf and Windsurf conditions that Morocco has to offer. They have fully equipped Kitesurf and Windsurf centers in both Dakhla and Essaouira, and also organize personalized trips along the coast of Morocco. KiteMorocco can arrange your accommodation, transfers, equipment rental and trips so that you can relax and make the most out of your Moroccan surf adventure. Dakhla Attitude – Back in 2003, Karim Skelli and Rachid Roussafi created the Dakhla Attitude camp and its kitesurfing school. Dakhla, in the extreme south of Morocco and 1500 km away from Casablanca, is situated on a small peninsula of the Atlantic coast called Rio de Oro. The peninsula of 14 kilometers also extends along a coast of 40 kilometers, thereby creating an enormous preserved lagoon. Dakhla Attitude school provides all the material, including the wetsuit for windsurf and kitesurf classes in Dakhla. This kitesurfing and windsurfing school in Dakhla is coordinated by the former kitesurfing world champion Rachid Roussali, a team of monitors, certified IKO. Dakhla Kite Surf Hotels – Website with all information concerning kitesurf in Dakhla. On this really well structured website gathers accommodation, event information and surf travel packages in Dakhla Morocco. If you want a full surf travel package ready for you, definitely you will find on this website.